Viladecans, which currently has the honor of being the “Catalan city of baseball and softball” during 2017, will host a weekend full of activities and tournaments during November 25 and 26. Among all of them, is the opening of the softball field, which, after all the improvements it has suffered, including artificial grass placement and a new set of lights, will host the first edition of the “Núria Escrich International Tournament”. The international tournament this year will include 4 teams, two of them from Catalunya. In addition to the host, the CB Viladecans, the All Star Catalunya team, the Fenix from Valencia and Collecchio Softball, the only international representative, will fight for the title. A total amount of 8 games distributed between Saturday and Sunday will be the ones who, for the first time after improvements, will take place in the softball field, which will hold the opening ceremony on Saturday with life music “Kanaloa Batucada” and the tradicional human tower Els Castellers between 6 and 7 in the afternoon, just before the game between the locals and the Italian players. The ceremony will atend by local sports authority Mr.Richard Calle, the President of Catalan Baseball and Softball Federation Mr.Jordi Vallès and all of the new and old board members of Viladecans club. Along with the 1st International Nuria Escrich Tournament, the already traditional “Bateja per la Marató” tournament will be held, which will collaborate with this year’s “La Marató de TV3”. This championship, which follow the U12 baseball category regulations, will host a total of 8 teams: three representatives from CBS Sant Boi, two from CB Barcelona and one from CB Viladecans, BC Manresa and CBS Gavà. Throughout Saturday a total of 15 games will be played in the 3 fields organized in the baseball stadium. Finally, together with the two tournaments, on Sunday, at the Viladecans’ baseball stadium, the All Stars game of the 1st Catalan Division will take place. This match, which has already become a tradition, brings together two teams made of the best players of all who played the catalan league and makes them fight to be the best All Star team. The last weekend of November, the catalan city of baseball and softball will enjoy a funny and family day, where there will be full of good matches and will be accompanied by activities for everybody. We won’t only enjoy good baseball and softball matches, but also enjoy the activities that will be carried. 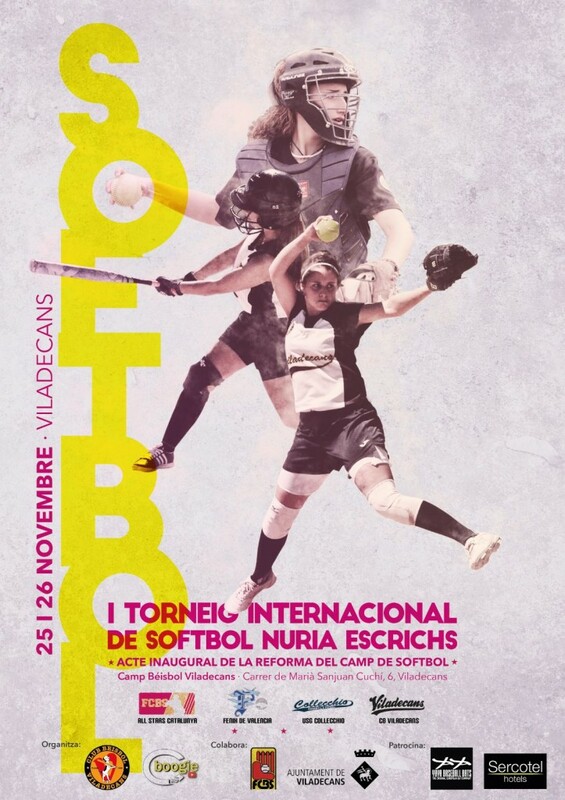 Also we will be able to enjoy the opening of the softball camp in Viladecans in the best possible way: with an international tournament.